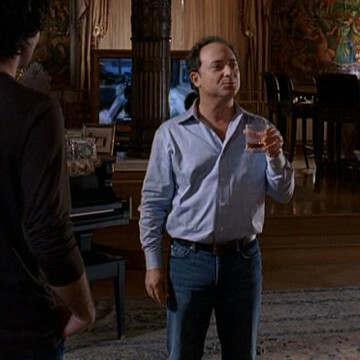 Kevin Pollak guest stars in S05E03 of Entourage, The All Out Fall Out. His character, Bob Levine, is introduced at the episode’s ten-minute mark and hires Vince to serve as a celebrity guest at his daughter’s sweet sixteen birthday party. Kevin Pollak played the part of Lt. Sam Weinberg in A Few Good Men and Hockney in 1995’s The Usual Suspects. He currently hosts a podcast, titled Kevin Pollack’s Chat Show, in which he hosts extended interviews with fellow actors and comedians.